JSE-listed computer assembler and technology distributor Mustek has lodged a formal complaint against Hewlett-Packard SA at the Competition Commission. 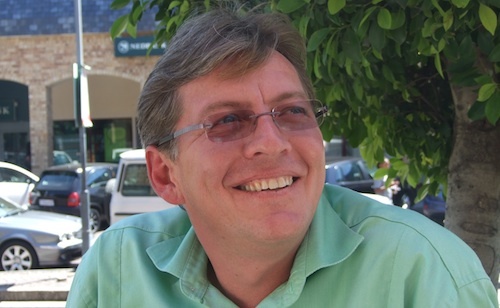 Mustek MD Hein Engelbrecht, pictured, has accused HP SA of contravening certain sections of the Competition Act and has asked the commission to investigate. Engelbrecht says he is reluctant to provide details of the complaint until the commission has done its work. HP, which is based in Palo Alto, California, is one of the world’s largest technology companies. It’s understood that the complaint relates mainly to the sale of desktop PCs and notebooks. The complaint was lodged with the commission on Tuesday morning. Among other things, Mustek has accused HP SA of selling goods below their marginal or average variable cost; of engaging in resale price maintenance; engaging in price discrimination; inducing customers not to deal with competitors; and engaging in exclusionary acts. Engelbrecht says the complaint has been lodged in the “interests of free and fair trade”. But HP has been anti-competitive for years. This whole direct/indirect model just canabalises its own channel. They’ve always just paid lip-service to their resellers and then undercut them at every corner. Unless you’re in the Enterprise game, it’s tough to make money out of HP kit.